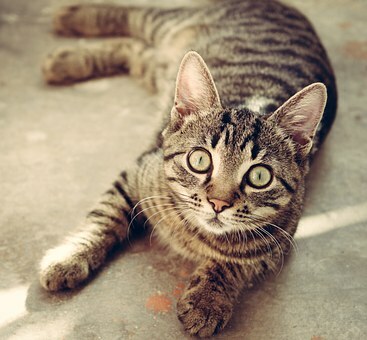 Some cats are just extremely anxious by nature, and it can’t be helped. If your cat is one of them, speak to your veterinarian about getting some natural anti-anxiety remedies to help her stay calm during the move. A cage or container will keep your cat safe during the move, but don’t just shove her into it on moving day and expect her to be fine. Allow the cat to get familiar with the cage or container days before the move by letting her play inside (you can leave treats in there to lure her in). Also, make sure the cage or container is comfortable (place a pillow) and has plenty of space for the cat to move around and stretch. When you arrive at the new place, take it slow and place her in one room first. Keep her in there for a couple of days so she has time to adjust to her new surroundings (sites, smells and sounds) without getting overwhelmed. Make sure the room has a litter box as well as food and water to make it more comfortable. The added advantage of this is that is will keep her away from the excitement of unpacking and give you time to settle into the place as well. After you have unpacked, it is time to let the cat loose on the house. But before you do that, make sure you have cat-proofed every space by removing all potential dangers that can threaten your cat’s safety (exposed electrical wires, poisonous plants and traps, escape holes and more). Make sure all windows and doors leading outside are closed as well. A lot of cats are not big fans of change, and moving is a big change that can easily stress them out. As a pet owner, it is your job to make sure that the transition is as smooth as possible so the cat settles into the new place and gets comfortable without any stress.